Is this the summer Tottenham Hotspur push to sign Ayoze Perez? a convincing win for Rafa Benitez&apos;s side. Perez has now scored 10 Premier League goals this season, his best return in a Newcastle shirt. Newcastle United could be dealt a bitter blow in their pursuit of striker Salomon Rondon, after it had been reported club owner Mike Ashley refused to bankroll a move for the West Brom striker. Rondon has been in excellent form so far this season, helping Newcastle United all but guarantee Premier League survival. Arsenal have reportedly joined the race for Ajax defender Nicolas Tagliafico - who was interesting Newcastle in the summer. Calciomercato are reporting that the Gunners are keen on a move for the Argentinian left-back, who jetted off to the World Cup in the summer. Newcastle manager Rafa Benitez is ready to extend his contract with the Toon Army, but only as long as the club's board can provide funds to spend on new players in the January transfer window. The Spanish coach is very popular at St James' Park, and has yet to agree on a fresh contract. Adam Lallana set for West Ham move? Liverpool's out of favour midfielder Adam Lallana could be on the verge of leaving Anfield in the January transfer window. The England international appears to be a top target for West Ham, who are looking to bolster their attacking options with the signing of a top proven Premier League talent. Newcastle United and Swansea City have agreed terms on a transfer deal to allow Federico Fernandez to remain in the Premier League for the 2018/19 season. The centre-back has decided to make a move to St James' Park having agreed a £ 3 million transfer deal with the Magpies. Crystal Palace winger Andros Townsend has moved quickly to reject talk of a departure from Selhurst Park this summer. Former club Newcastle United were amongst the teams interested in the player. Newcastle United have confirmed the signing of Brazilian winger Kenedy from Chelsea on a season-long loan deal. The 22-year-old has rejoined the Magpies after a successful loan stint under Rafael Benitez during the second half of the previous campaign. Leicester City and Newcastle United will go head to head in the race to sign Crystal Palace winger Andros Townsend. The England international attacker is believed to prefer a move back to his former club, the Toon Army, whom he left after their relegation from the Premier League three years ago. Rafa Benitez is confident that Newcastle will be able to compete in the upcoming transfer window. This season will be the first time that the window is shortened under new Premier League rules. Ghanaian international midfielder Mubarak Wakaso has been linked with a transfer to Premier League club Newcastle United. According to a report fro Ghana, the 27-year-old is highly rated by Newcastle scouts and a transfer move will be made for the Deportivo Alaves star this summer. Newcastle United manager Rafa Benitez has discussed his plans for the upcoming summer transfer window. 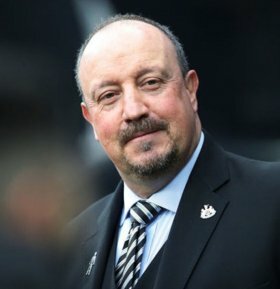 The Toon Army look to have secured their Premier League status for another year; but Benitez is known to be unhappy with their lack of signings in recent times. Brazilian forward Kenedy has revealed that he would strongly consider a permanent move from Chelsea to his current on loan club Newcastle United. The player has apparently told his agent that he would like to leave Stamford Bridge in search of regular first-team football. West Ham United is currently a club in turmoil. Battling relegation and in the midst of a huge fan revolt against the owners, the move to the London Stadium with European ambitions has not at all gone to plan. In an attempt to win back the supporters, Hammers bosses are preparing summer signings, with Newcastle United captain Jamaal Lascelles believed to be one of them. West Ham manager David Moyes is confidently expecting Newcastle United midfielder Jonjo Shelvey will make a move to East London during the transfer window. Shelvey has been impressive since his move to St James' Park but is expected to depart this month. England international goalkeeper Joe Hart, currently on loan at West Ham United, could be on the move again this month, with fellow Premier League side Newcastle United resuming their interest in signing the 30-year-old, which saw them beaten to a loan deal by The Hammers in the summer. Juventus midfielder Stefano Sturaro, who has been linked with a January transfer move to Premier League side Newcastle, will stay put in Turin. According to the player's agent, Sturaro will fight for a place in the Juve first team. Manchester United manager Jose Mourinho has confirmed that the likes of Paul Pogba, Marcos Rojo and Zlatan Ibrahimovic are in contention to feature against Newcastle United this weekend. Zinedine Zidane is without a doubt one of France’s top footballing icons. We evaluate if his recent success as a manager is down to timing or if Zidane could too become one of the greatest coaches of all time. Newcastle are preparing a shock move for PSG's out of favour forward Hatem Ben Arfa in the January transfer window. A transfer to Tyneside for Ben Arfa would set up a shock return to the Premier League and Newcastle for the Frenchman.